12 Clever and Creative Hair Inspired Advertisements. 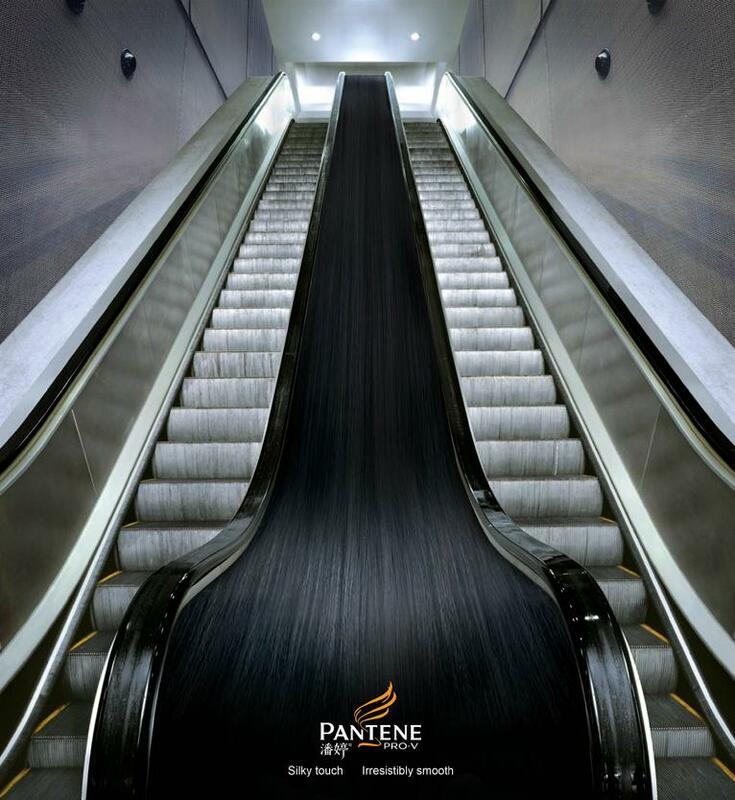 Collection of clever and creative hair inspired advertisements by various companies from all over the world. 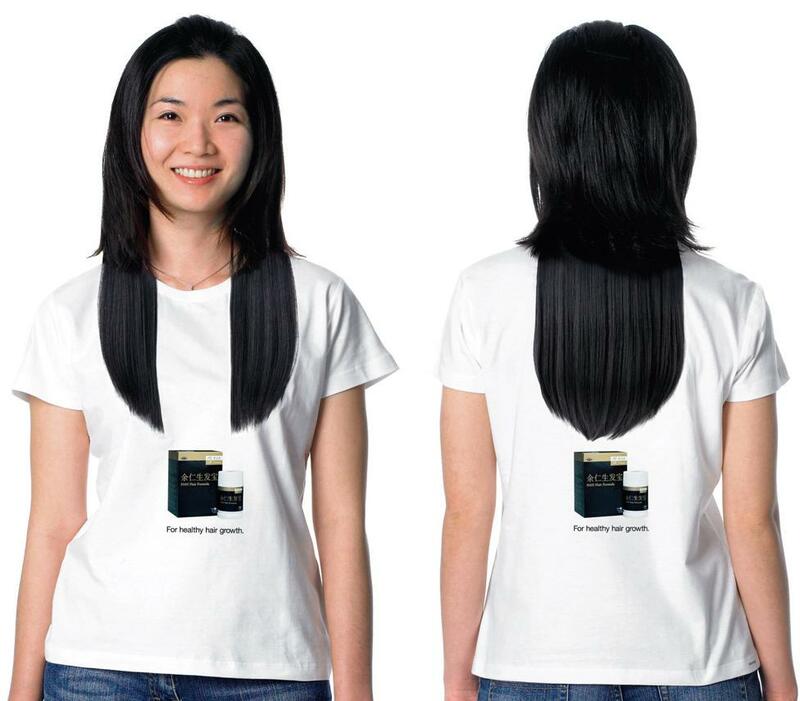 Eu Yan Sang Hair Advertisement: This creative t-shirt was worn by the in-store personnel and was mailed directly to prospective customers as a promotional gift to promote the launch of Eu Yan Sang hair product. 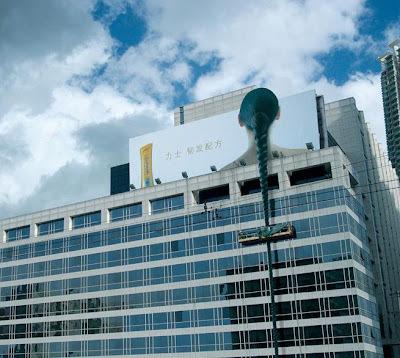 Pantene Shampoo Building Advertisement: To demonstrate Pantene's claim of "really strong hair", climbers climbed three different oversized ponytails attached to a building in Toronto for two days. 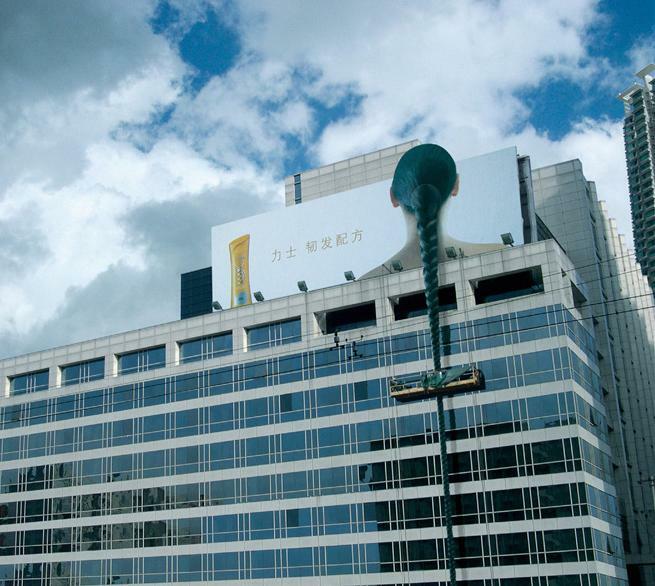 Lux Hair Product Advertisement: Special plaits were put on from billboards and these were linked to outdoor elevators used for glass cleaning to promote the 'Lux Hair Product'. Pantene Shampoo Escalator Advertisement: To promote Pantene shampoo the space between two escalators was used to create the display and make the people who used the escalators feel the smooth hair just as it was said in the slogan: 'silky touch irresistibly smooth'. 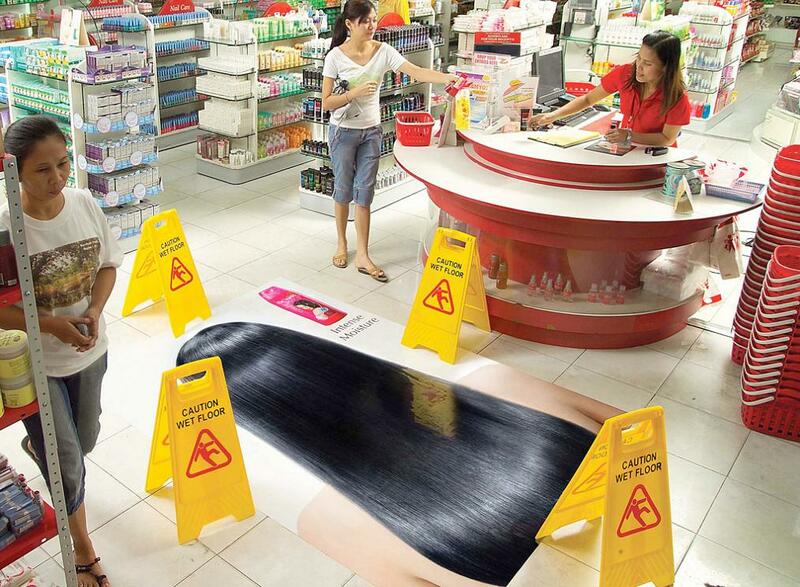 Biolink Shampoo Advertisement: To promote smooth and intense hydration effects of the shampoo Biolink VCO, stickers were placed on the floor and surrounded by signs that indicated that the floor was wet. Livon Hair Conditioner Advertisement: This cool advertisement displays the effect of the hair product showing hairs to be as smooth as the slide. Rejoice Shampoo Advertisement: Air hockey tables were specially made and strategically placed in malls, salons and college dorms; the surface of these tables were made to look like the strands of the hair where Rejoice-branded pucks would smoothly slide across. 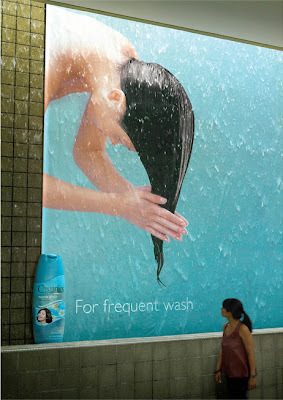 Organics Shampoo Advertisement: Innovative wall posters were strategically placed under existing man-made waterfalls at a busy shopping mall to remind shoppers that Organics has a variant for those who shampoo their hair frequently. Gard Shampoo Advertisement: Creative bus handles promoting Gard active strong shampoo in Frankfurt, Germany. 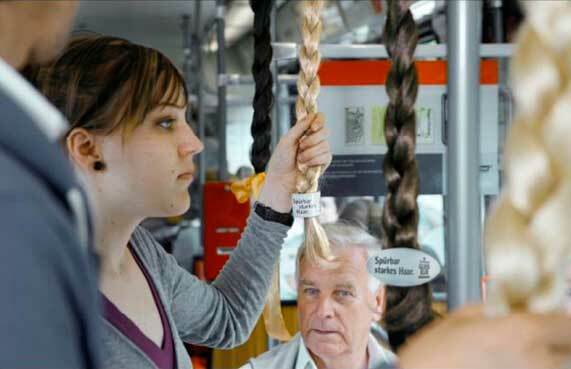 Gliss Kur Total Repair Shampoo Advertisement: Clever bus handles promoting Gliss Kur total repair shampoo in Dusseldorf, Germany. Andream Shampoo Advertisement: Creative train handles promoting Andream shampoo in Indonesia. 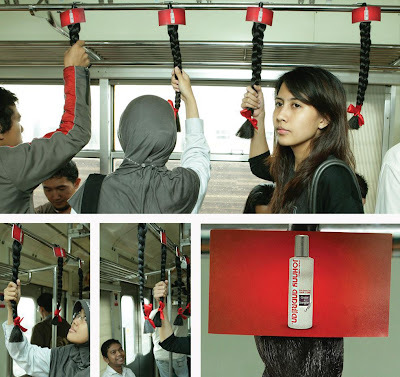 Creative and Cool Ways to Reuse Old Stuff. 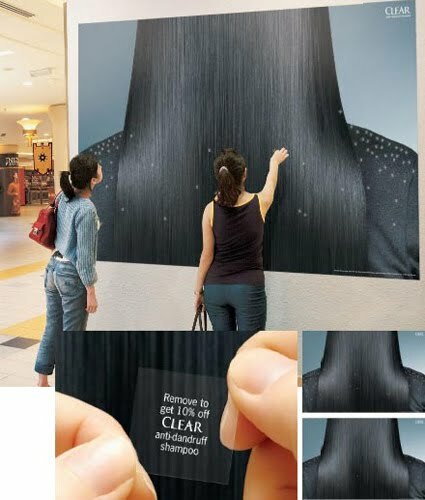 15 More Creative and Cool Eraser Designs. 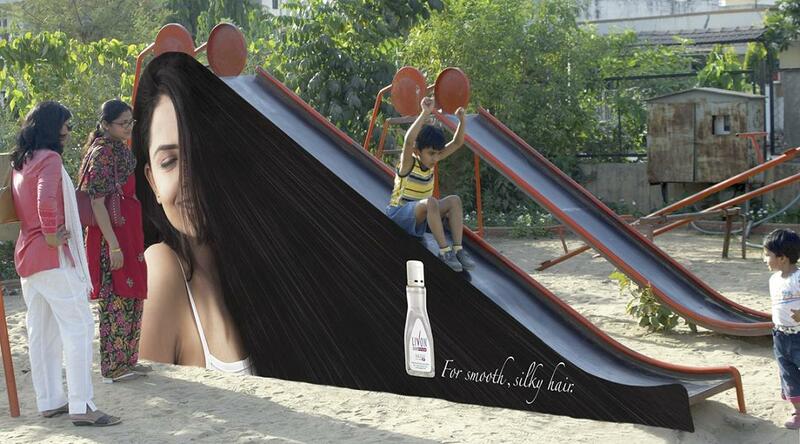 16 Creative and Clever Bench Advertisements. 15 Coolest Odorfree Clothing For You.